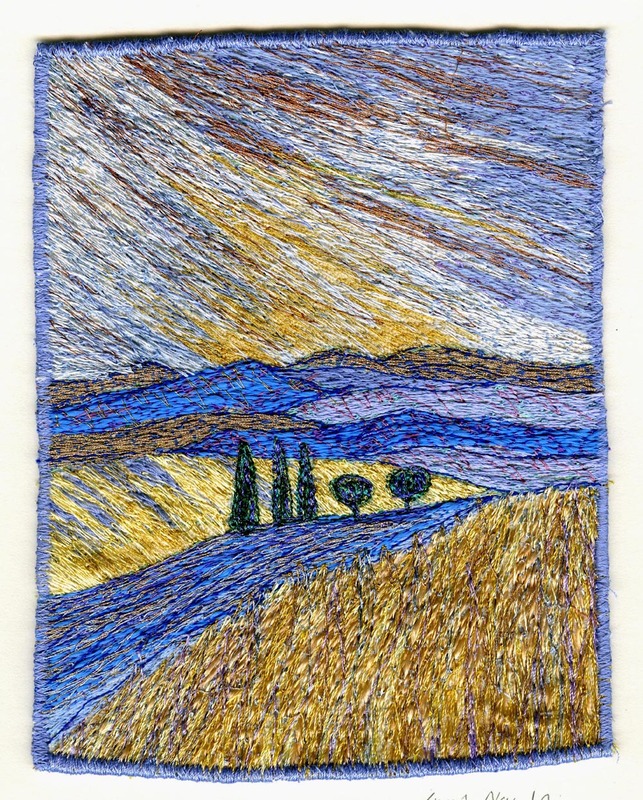 A very busy week after teaching last weekend at Lutterworth in Leicestershire-lovely responsive group from the Embroiderers guild there. It’s full steam ahead for the Art Trail, photos to be posted later but here’s a small embroidery inspired by the winter skies in Lanzarote. I’ve been looking more closely at skies and hope to develop this further in my larger scale works. Very beautiful. I do not know this kind of handcraft; only quilting and beading!